Making every town safe is done by making every home safe against criminal activity. Learn to use a gun properly, arm yourself, and protect your loved ones. It’s your right. God has blessed the citizens of this Nation with freedom to protect our homes, selves, and others with firearms under the 2nd amendment to the United States Constitution. However, with that right come responsibilities; responsibilities to conduct our selves wisely, carefully, and legally when using firearms. We do not teach how to circumvent the laws of our land, but rather to strictly adhere to them. We are convinced that properly trained law-abiding citizens who own and use their firearms prudently can be a very valuable asset to our families, communities, and our Nation. At SHPDT our goal is to teach and train those who would like to exercise their right to own and use handguns to do so safely, legally, and proficiently, whether for recreational or defensive purposes. 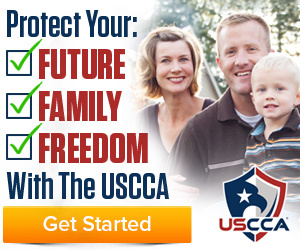 Click here to become a USCCA Affiliate Instructor today!